“For over 200 years, Democrats have stood for the idea that wealth and status should not be an entitlement to rule. Democrats recognize that our country and our economy are strongest when they provide opportunity for all Americans—when we grow our country from the bottom up. Democrats stand for an abiding faith in the judgment of hardworking American families, and a commitment to helping the excluded, the disenfranchised and the poor strengthen our nation by earning themselves a piece of the American Dream. We remember that our country was sculpted by immigrants and slaves, their children and grandchildren. Even today, it is our diversity above all else that provides us with our enduring strength. “Democrats stand for Hope, Equal Opportunity, and Fair Play. These are the values Texas Democrats personally share and the values with which we define our economic and social policies. Texas Democrats aim to build a stronger state and nation while creating an ideal climate for hard workers and rule-followers to achieve. Equal opportunity for all citizens. Rewarding, honest, hard work with a living wage in a tax system that is fair. Family values that are more than a political slogan. Quality education that gives all citizens the opportunity to reach their potential. Freedom from government interference in our private lives and personal decisions. The benefits of the individual strengths within our diverse population. Security in our homes and safety on our streets. Criminals should face swift and certain punishment. A strong United States of America—morally, economically and militarily. 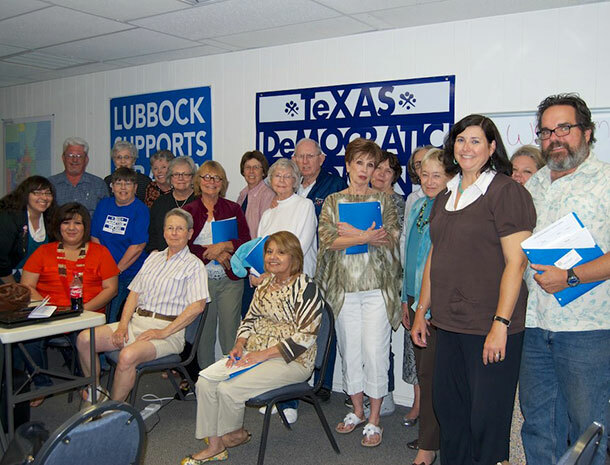 © 2019 Texas Democratic Women South Plains.